From the vantage-point of this former long-time caddy, the business of golf is in pretty darn good shape despite big corporations slashing marketing expenses (except for Snap Inc.) and some weekend hackers getting a case of sticker shock when venturing to their local pro shop for new clubs. The PGA Tour’s top executive agrees with this green-side read. “We are in a really good place as a PGA Tour — we are growing,” PGA Tour Commissioner Jay Monahan told Yahoo Finance at this week’s Players Championship. Monahan — who secured a record $12.5 million purse for the 2019 Players Championship — assumed the top position in the world of golf in January 2017, marking only the fourth commissioner in the tour’s history. 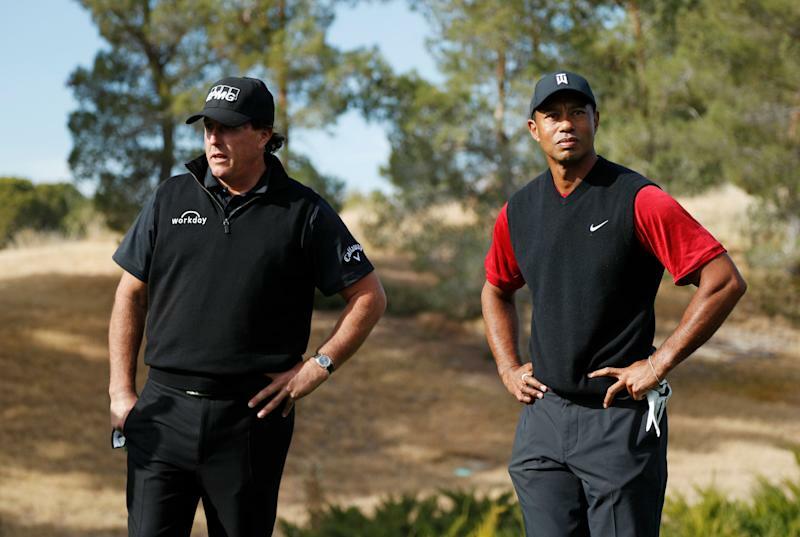 And what appears to be a strong game of golf — at least from a business perspective — isn't solely because a 43-year-old Tiger Woods is back to playing well again on Sundays and a 48-year-old Phil Mickelson can still bomb it 320 yards down the fairway. Although the continued solid play of the two megastars each help, of course, to bring in new viewers and keep loyal fans engaged with the sport. A healthy Woods has no doubt put a charge back into golf’s all-important TV ratings. TV ratings for the final round of all four major championships (a key measure of golf’s viewership health) increased appreciably in 2018 versus 2017 with Woods in the hunt for titles again. The biggest ratings bump came at the 2018 PGA Championship, according to Sports Media Watch. It saw 8.5 million viewers in the final round compared to 4.9 million the year before as the veteran Woods battled young phenom Brooks Koepka down the stretch (Woods finished second to Koepka). Golf TV ratings have been slightly more mixed this year overall. But, the key weekend rounds at high-profile tournaments have seen strength, according to Nielsen data. Woods has played well in his three starts in 2019, notching one top 10 finish. He sat out at the Arnold Palmer Invitational last week due to a neck injury, but is in the field at The Players. Mickelson is also in the field at The Players after debating whether he would play. Monahan said Wood’s presence in tournaments ultimately continues to move the business needle for the tour. Nowadays, though, Woods is supported by the youth movement that includes popular phenoms Jordan Spieth, Rickie Fowler, Dustin Johnson, Tony Finau, Justin Thomas and Rory Mcllroy. 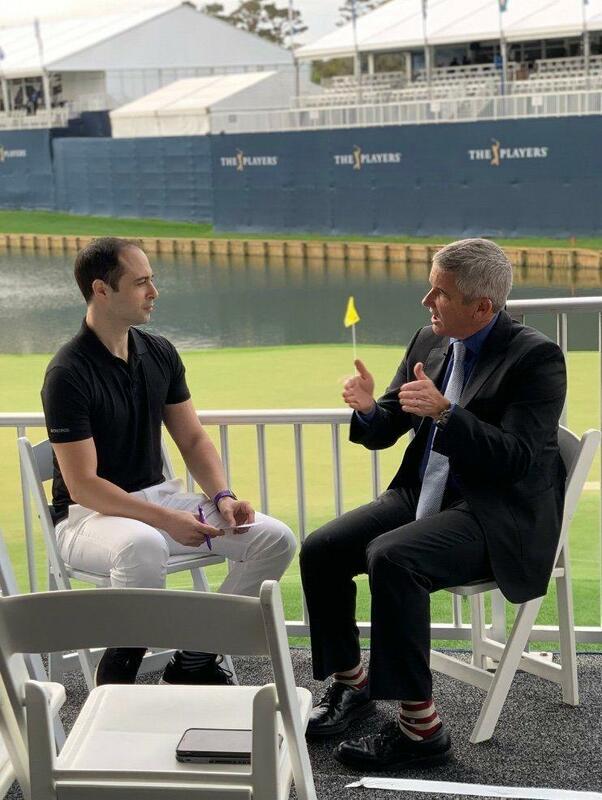 PGA Tour Commissioner Jay Monahan talks with Yahoo Finance Editor-at-large Brian Sozzi at the 2019 Players Championship about the business outlook for golf. “Tiger moves the needle because he is one of the greatest athletes ever. He is arguably the most recognized athlete today. What he has accomplished is staggering,” Monahan said. Meanwhile, live streams of PGA Tour events continues to increase in force. Just look at the attention last year’s much hyped live stream of Woods taking on Mickelson at for 18 holes received. Or Wood’s new deal with Discovery around Golf TV to bring fans behind the scenes into his life on tour and elsewhere. Golf TV will primarily be an international viewer/fan acquisition seeing as Discovery doesn’t have the U.S. rights. “We are very excited about Golf TV,” Discovery CFO Gunnar Wiedenfels recently told Yahoo Finance. In January, the tour inked a live streaming deal with Amazon for its PGA Tour Live programming. The game is just flat out reaching new audiences via new distribution platforms. It’s that cut and dry. And when viewers aren’t watching Woods on social media or live streams, they appear to be out shopping for new high-tech clubs and slimmer fitting (and brightly colored) golf clothes. The worldwide golf equipment business grew by a respectable 4.1% to $8.41 in sales in 2018 versus 2017, according to the 2019 World Golf Report. Worldwide golf apparel sales rose 1.3% to $5.03 billion. The numbers are solid considering rounds played in the U.S. fell 4.8% in 2018 due to frequent stretches of bad weather. The golf apparel market is apparently healthy enough for Callaway Golf: it plunked down a whopping $476 million in November to buy golf lifestyle apparel purveyor Jack Wolfskin. The record $12.5 million purse at The Players is unlikely to stay a record for long, judging by Yahoo Finance’s chat with Monahan. The commissioner said there is “strong demand” for what the PGA Tour produces — that’s often a precursor for higher payouts for tournament winners. While golf has more work to do to speed up play and make the game more inclusive, it’s a sport far from dead as many pundits frequently proclaim. Take it from a former two-bag carrying caddy.